Following her attendance at the Image awards, Marsai Martin joined Issa Rae in New York for an appearance on Good Morning America to discuss their new film 'Little' this morning(April 1st). 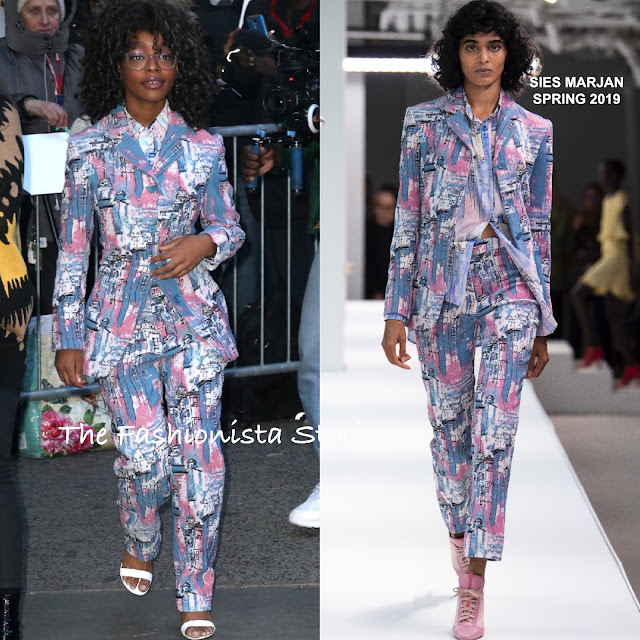 Joining the many female celebs rocking power suits, Marsai chose a statement ensemble from the SIES MARJAN SPRING 2019 collection. I love this printed suit even, with the matching printed shirt. I do prefer the crop look of the pants on the model but the length on Marsai doesn't look bad, it just needed to be hemmed. Her signature curls & glasses, and NICHOLAS KIRKWOOD sandals finished up her look.